Using a 3-inch barrel and a 400 series stainless steel monolithic frame, Ruger this week announced a new version of the LCRx wheel gun chambered in .357 Magnum. 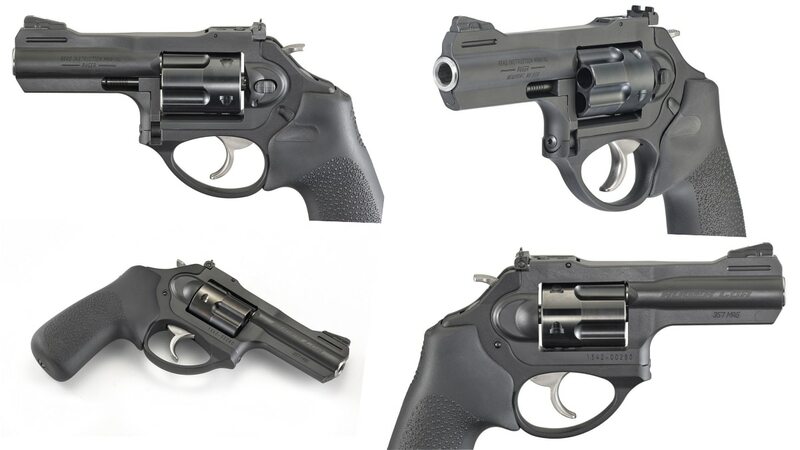 While the LCRx small-frame revolver series has been around for several years in both a 3-inch format and in .357, the combination of the two features is new for the company. Previously, the popular magnum caliber was just offered in the LCRx line in a 1.87-inch barrel length model. Featuring an adjustable rear sight, exposed hammer and full-size, smooth Hogue Tamer Monogrip, the latest addition to the line uses a polymer fire control housing and stainless PVD-coated five-round cylinder to trim weight, translating to a revolver that runs just 21.3-ounces, which is about 6-ounces heavier than the comparable to the .38SPL-chambered LCRx in the same barrel length. Overall length is 7.5-inches and the handgun uses an adjustable black blade rear sight coupled with a replaceable, pinned front pamp. MSRP is $669. For those who don’t mind the extra weight and are a fan of a bit more stainless look, Ruger also has the GP100 6-shooter in a 3-inch, .357 installment for $799, although it is nearly a pound heavier and an inch longer overall.